We recently partnered with a number of organizations and individuals to help raise funds through our Natural Soap Fundraising Program. 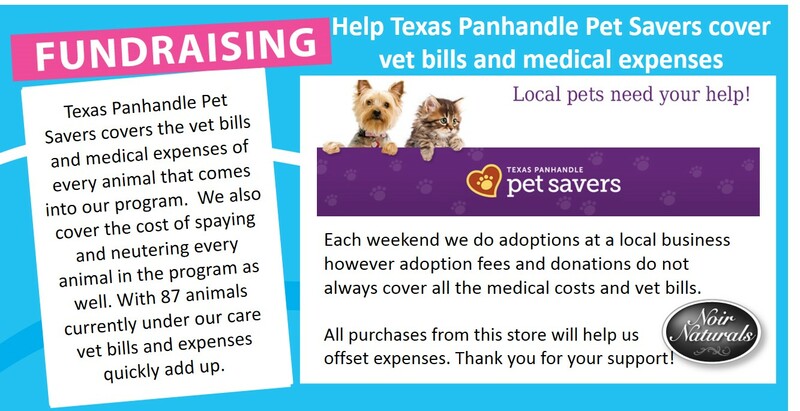 The recent partnerships we’ve made are with the Texas Panhandle Pet Savers, Allois family who wish to host an Eastern European Orphan this summer, Garnet to fund his college education, and Tabitha for her study abroad trip to Israel. Our Moses (Oatmeal & Honey), Lavender, Baby Noir Soap for Babies, Scarlet (Black Raspberry Vanilla), Starr (Honey Almond), Leading Man (Drakkar Type) and Asta Soap for Doggies are among some of the favorite bars among fundraising supporters. The Natural Soap Fundraising Program by Noir Naturals is open to any individual or group that needs to raise funds within the United States. To support our fundraiser supporter pages and learn more about our program visit www.NaturalSoapFundraising.com.